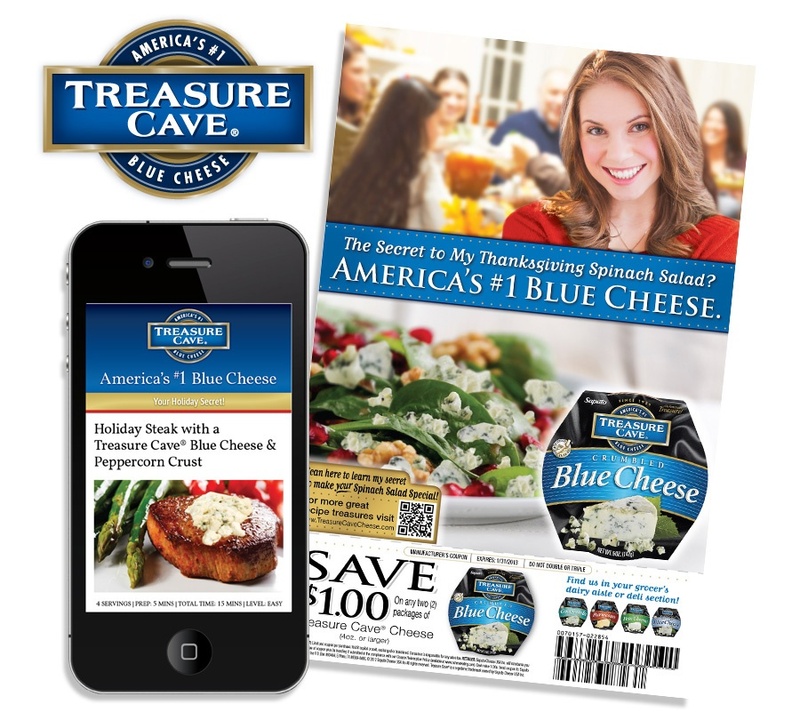 Treasure Cave® Blue Cheese is America’s #1 Crumbled Blue Cheese. Yet, as a variety, blue cheese is probably America’s least favorite cheese. 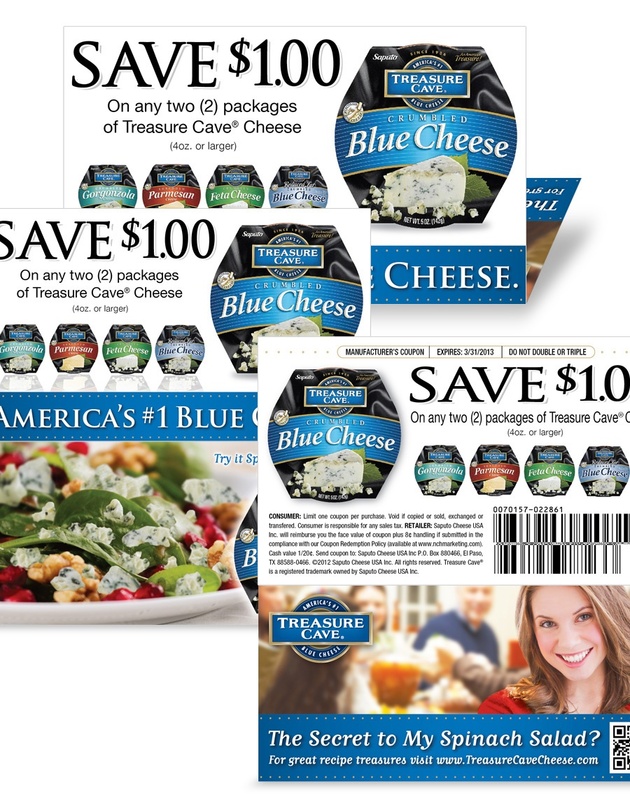 TWO/TEN helped broaden Treasure Cave’s appeal by focusing its brand voice, and helping consumers see the brand—and blue cheese—in a more approachable way. Blue cheese carries a stigma of being too formal and foodie—and, well, stinky—for many mainstream consumers. Even as a favorite with Buffalo wings, crumbled on a Wedge Salad, or melted on a burger, the cheese lacks the everyday approachability of Cheddar or Provolone. The elevation of food preparation and the mass availability of nearly any ingredient whenever we want it has revolutionized how and what we eat, creating a generation of ever more adventurous eaters. Treasure Cave wanted to embrace this new paradigm and become the blue cheese. We agreed. Food discovery has grown leaps and bounds thanks to celebrity chef culture and technology. Chefs have Facebook pages, #foodporn is one of the most popular hashtags, and recipes from food bloggers are available to anyone with a web browser. These advances mean more adventurous consumers—what they eat and what they make—than ever. What does it take to satisfy their demand? We found that consumers knew about blue cheese, but assumed they didn’t like it. Beyond being featured on a cheese tray at a party, or hidden on the side in a creamy Buffalo wing dressing, most consumers don’t know much about blue cheese’s versatility, or why they should keep it on hand. We knew that if we shared the Treasure Cave secret with them, we could help them improve—and elevate—their everyday dishes. Premium and prestige needed a more approachable, familiar personality. 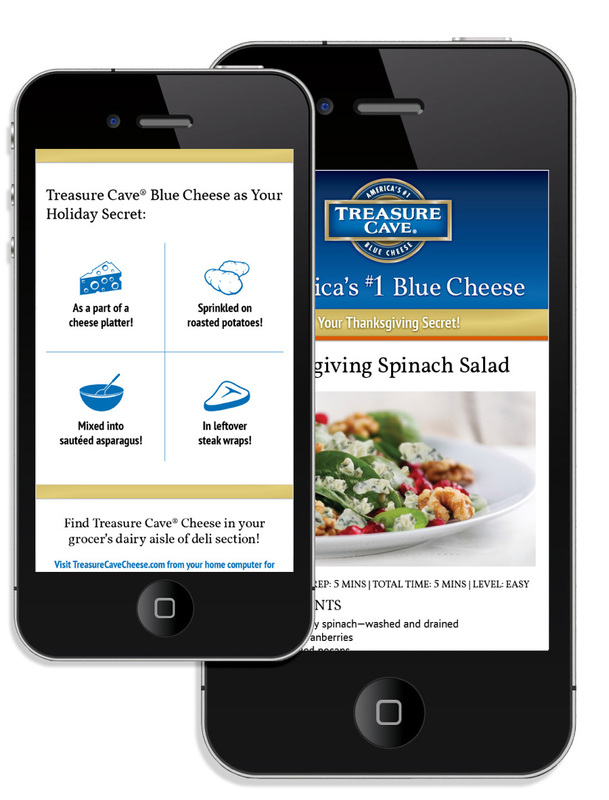 So we promoted blue cheese as a product with multiple uses and spun a new flavor story—Treasure Cave® Blue Cheese enhances and adds rich flavor to everyday meals, quickly and easily. With a new library of simple-to-execute, contemporized classic recipes we showed consumers that America’s #1 Blue Cheese is the dairy aisle’s best-kept secret. Our new campaign features the image of delighted consumers paired with delicious food photography—a new side of Treasure Cave® Blue Cheese. A secret no more. The “My Secret” campaign adapts easily across multiple consumer channels, helping broaden its reach to different demographics. National FSI placements appeal to Boomers, while new mobile-optimized recipe microsites, driven by QR codes on-pack, help a newer generation discover the Treasure Cave® secret for themselves. Seasonality and occasion help define which recipes are highlighted, improving weekday usage. FSIs also offer coupons, enticing consumers to take advantage of the premium product at a greater value. In-store tactics are extending the life of the campaign, hitting consumers deep along their path-to-purchase. Tear pads highlight recipes and offer instant-redeemable coupons. Results have been positive, opening doors to new projects and partnerships with Treasure Cave®. We are currently helping the brand unroll new product varieties that will reach shelves in summer of FY ’13.